Call it another banner year for the PGA Web.com Tour’s Price Cutter Charity Championship presented by Dr Pepper, as the tournament gifted $920,352 to 49 Ozarks children’s charities on Tuesday and gained tremendous momentum toward next summer. The monies were distributed during the PCCC’s annual Celebration of Sharing presented by The McQueary Family at Highland Springs Country Club in Springfield. With it, the tournament has gifted $15,590,801 since its inception in 1990 and now turns its attention to a highly anticipated milestone, Year 30 of the PCCC. This past year marked the 29th consecutive in which the tournament was hosted by the John Q. Hammons Foundation. Price Cutter Supermarkets has been either a presenting or title sponsor of the tournament for 20 years. Web.com just completed its sixth year of a 10-year agreement with the PGA Tour and, the collective support of those entities, along with that of Highland Springs Country Club, has allowed the PCCC to continue as one of only four original Web.com Tour stops. Laura Farmer of CASA, or Court Appointed Special Advocates. CASA recruits community volunteers who are trained before being sworn in by a judge and then matched with a Child in foster care – all to mentor and advocate for the child during a challenging time in their life. Sharon Alexander of Legal Services of Southern Missouri. LSSM provides free civil legal assistance to low-income individuals and families. During its 42-year history, it has focused on providing holistic and comprehensive services to achieve safety and create economic and family stability. 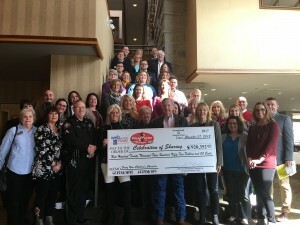 “The Oasis Hotel is a proud supporter of the Price Cutter Charity Golf Tournament because the tournament benefits our community directly which includes our neighbors, our co-workers, our employees and sometimes our families,” said Missy Handyside, General Manager of the Oasis Hotel & Convention Center. “Last year’s tournament was such a huge success and provided much needed funds to 49 local charities. 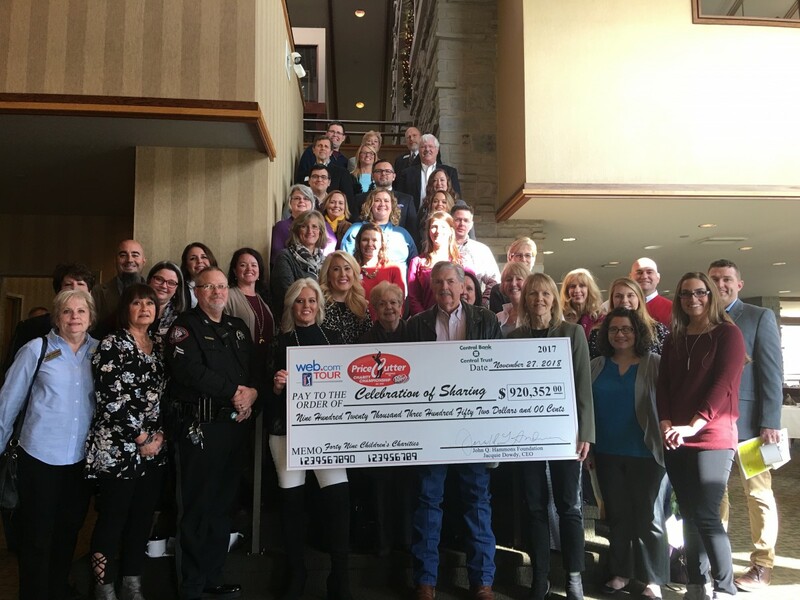 I’m not sure of another fundraising event that benefits so many local charities at once and it is so touching to watch the different organizations receive their donation during the Celebration of Sharing luncheon each year. Andrews announced next year’s tournament is July 19-29, 2019, with the pros to play July 25-28 at Highland Springs Country Club. Businesses seeking sponsorships, including pro-am teams, should call 417-887-3400. 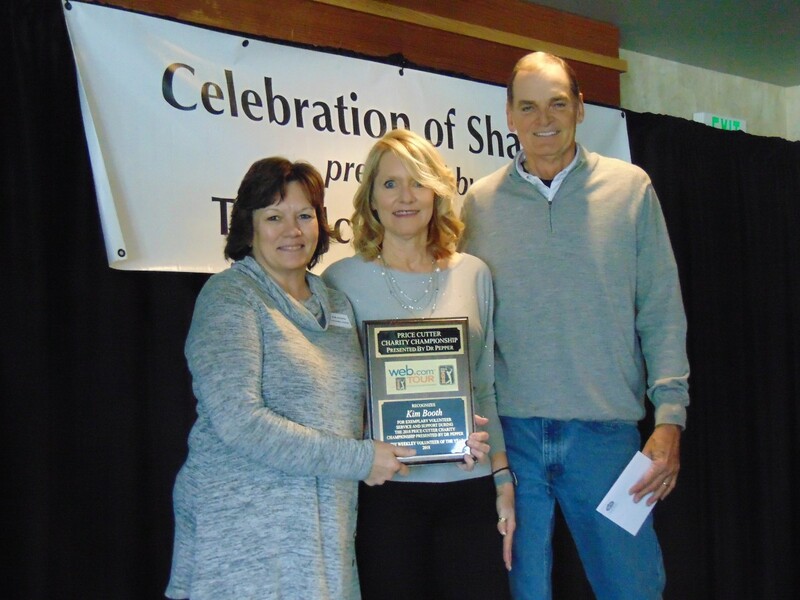 Tournament Chair Sharyn Wagoner presented Janet Rose, David Petiford, Kim Booth and PCCC accountant Dale Witte with the Volunteer of the Year Award during Tuesday’s ceremony. The four process all of the TLC Properties Charity Sweepstakes tickets throughout the summer and up until the afternoon of Championship Sunday. The PCCC helps determine the Web.com Tour’s 50 graduates to next year’s PGA Tour. Martin Trainer, the 2018 PCCC champion, was among 25 of the most recent PGA Tour card winners who played in this year’s PCCC.